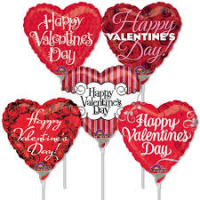 These 4" Pre-inflated balloons are a delightful mix of Valentine's and Love messages. Sticks are provided. 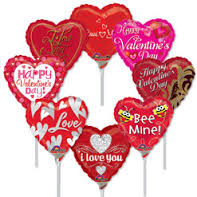 A fun and quirky mix of shaped air-filled Valentine/Love assortment. 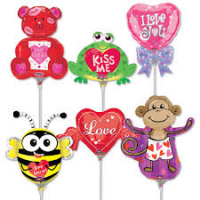 Sticks are provided.